2014 June: Passe-Partout House Show: Introduction of sofa and seat Lilion. 2013, 9-12 March: International Furniture Fair Singapore. Design of Suniture booth. Introduction of new models Clipper and Constellation. 2012, 14 - 18 March: Manila F.A.M.E. International. Design of Designs Ligna booth and introduction of new models: Henny A and Henny B and Hector. 2012, 9 - 13 March: International Furniture Fair Singapore (IFFS). Design of Suniture booth and introduction of Sunbun collection. 2011, 15 - 20 March: Thailand International Furniture Fair (TIFF). Design of Suniture booth. 2011, 3 - 6 March: Furniture show Manila Now PIFS 2011. Design of Designs Ligna booth and BVZ Asia booth. Introduction of new Designs Ligna models: Koozoo, Gumamela desk and Jewelry Armoire. 2010, 22 - 25 April: Manila F.A.M.E. International. 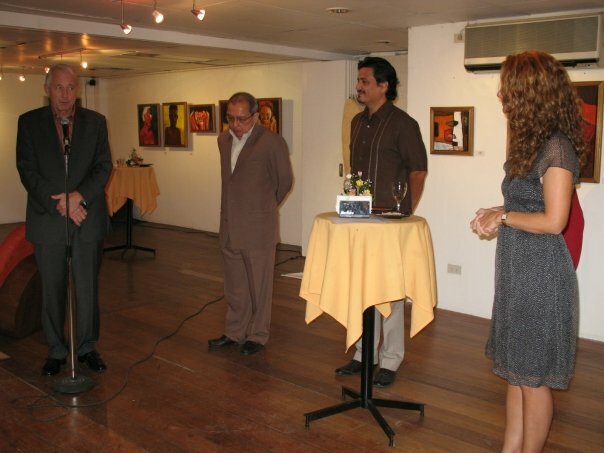 Introduction of Dutch Design in the Philippines collection with Kalikasan, Evolve and Designs Ligna.